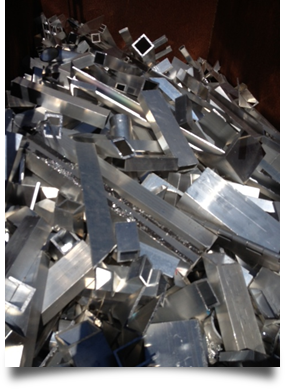 serve your aluminum scrap needs. The process to make new, usable aluminum involves mining pure aluminum ore out of the earth and then chemically refining it into pure metal. Fortunately, like other non-ferrous metals, aluminum scrap can be recycled over and over again without breaking down. Recycled aluminum scrap is used as a raw material to make new aluminum. We sell scrap metal to a variety of buyers, including aluminum sheet and plate mills and secondary smelters that turn aluminum scrap into new aluminum and aluminum alloy shapes including ingots and sows. Whether you are looking to buy extruded aluminum scrap, cast aluminum, old sheet, turnings, clips or aluminum cans, give us a call. Demand for aluminum has been rising around the world, as does the need for scrap aluminum as a raw material for new aluminum production. Scrap aluminum prices vary based on supply, demand, and general market conditions. Our experienced brokers know the market. Whether you are looking to buy or sell scrap aluminum we will work with you to make sure we are offering you a fair price.